Best Tips and Advice Archives - Simple. Quick. Creating a simple life is going to be a rewarding and informative journey, but when looking to create that kind of lifestyle, the right starting tips can go a long way to making sure that it’s effective and beneficial at the end of the day. 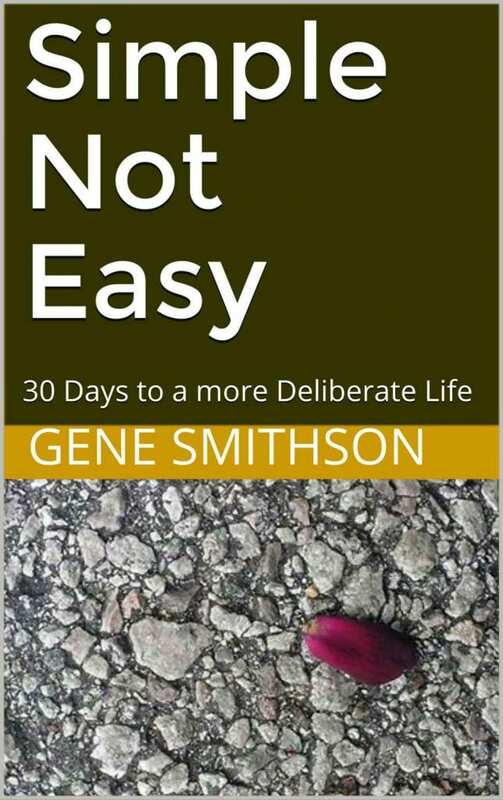 When someone lives a simple life, it can mean a series of different things, so there are tips here to make each life better and simpler, no matter which tips are taken or ignored. Let’s get started. A great way to look at simple living is in focusing on how to be more involved in the community. The sense of community is getting lost when it comes to how each person is a part of it, and shopping local and sourcing local when possible is a great way to do that. From groceries to gifts to restaurants, avoid the large chains and go for the smaller “mom and pop” shops instead that will offer better service, quality, comfort, and create a sense of community that won’t be visible elsewhere. In terms of cooking, it’s easy to get lost in the complex recipes and gluten-free and fat-free options – they’re overwhelming – but, it’s important to push all that aside and look at simple, classic meals. That’s not to say that healthy food isn’t important, but it shouldn’t be the main focus. Put the same time and effort into looking for simpler, classic meals such as those “meat and potato” ones that you never see anymore. It still offers healthy benefits, is filling for all of the tummies in the home, and will offer variety in flavors. The trick is to make sure that each meal doesn’t take up all of the energy available. Simple is best in food, as it leaves time for other important aspects in life. Shopping is an obsession for many people, and this is often the hardest part about simple living. When sale signs pop up, it’s tempting to go in and and grab something just because it’s a good price, but it’s important to focus on the fact that simple living is about what is needed, not wanted. Is that kitchen spoon really important to the home? Is that blanket really critical when there are a bunch of others at home? When targeting this particular aspect of simple living, it’s best to bring someone along and can keep that shopper part in check so that each person is able to learn the lessons and adjust to this change in the mindset, as tricky as it may be. There’s no questions, decluttering is a lot of work, takes precious time, and is frustrating. But, simple living requires a simple home full of the essentials only. Decluttering should take place in every part of the home, from the closets to the appliances in the kitchen. This takes time and should be done in spurts, focusing on one aspect at a time. It will be helpful to get someone alongside that is going to be the tough love in terms of parting with particular pieces of a wardrobe, or the critical appliances in the kitchen. Get the whole family involved and it may become easier as each member competes to have a clean and dignified area by the end of the exercise. Encouragement is what will make this stage easier and fun, and having someone to help along the way will help keep it a regular thing, too. Another aspect of simple living at its finest is the reminder that it isn’t just about material possessions. That means that focusing on the most important parts of each person’s life is important. A great addition to simple living is a focus on family. Time spent with loved ones is the number one priority in most of the lives of people, but making time for it can be tricky. So, part of simple living is forcing each person to see what matters most by making time for it. Instead of going to exotic locations for trips, it might be a great idea to consider, instead, the idea of travelling on day trips. These day trips are great for supporting local tourism and can be just as fulfilling as going far away. There is no expense for hotels, focus on what is most important, and lots of time with family. It takes a while to get used to, but it will be just as fun and exciting as travelling far away, and it then will make those far away trips easier to afford when the time comes. Work life is what takes up majority of the time for each person in the family, so it’s important and beneficial to everyone to consider putting limits on that work life. Make time for family on the weekends, focus on literally setting alarms for finishing up with work if need be. Put the time and effort into making sure that the rest of the family’s life doesn’t suffer just for the potential positive effects of extra money. Simple living means that each person is focusing on what is most important, and work is an aspect of that, but should not be the most important part by any means. There is a lot of great things to be said for modern living, but you’ll be able to get all of the biggest priorities put in place by using these tips to help each household and individual get things coming together. This won’t all come together at the same time, but each aspects will be able to make a presence in a family’s current life until all parts do end up coming together and creating a happy life full of the most important aspects. Simple living is doable, it just needs to start off in the correct place. Money. It’s the thing that keeps everyone working as hard as they can as often as they can for as long as they can, even when there are other parts of life that are waiting. Sometimes having the proper techniques and tools in place is all you need to give that boost in income so that everyone is able to enjoy a life that is that much richer – literally. So, to make sure that is possible for each household no matter what the income level is and the requirements are, here are some simple money management tips that are realistic and really will make the difference. Setting a budget is definitely one of the most basic options to look at. It’s easy to do, and it can be done using online sources or by talking to a professional. The budget should have all of the fixed expenses (rent/mortgage, insurance, car payments, etc) and then have a section for variable expenses such as groceries and gas. When setting a maximum for groceries and gas, it’s important to always put it on the higher end. It’ll feel good to save money in these categories, and by under-budgeting, it’ll feel like it’s impossible to stay on-budget no matter what. On that same note, the entire family has to stick to the budget. Everyone needs to understand its importance, and if it’s tricky with teens or young adults, there can always be some sort of incentive at the other end of actually sticking to the budget. A lot of families have spots where costs can be cut in small or dramatic ways. Take a look at those particular spots and prioritize the financial situation. Instead of an expensive cable package, look at switching to on-demand options such as Amazon Prime or Netflix. These are cheaper and give the same quality. With cell phone plans, look at sharing data and minutes instead of each person having an individual expensive plan. Is a landline still necessary? There are usual several ways to cut costs just by looking at these particular options. Take a look at each aspect and see if there is a way for the costs to be cut even if it’s just by a few dollars. This will add up over time. When it comes to debt, it’s best to have it all in one spot so that it’s easy to see how the interest is building up. For example, a line of credit will help pay off the debts, and then hold what is owed all in one spot so that it’s easy to make regular payments and know that there is no chance of missing anything. The other aspect of this particular part would be to stay on top of those minimum payments, throwing in some extra funds when possible to help get the principle down. Debt is something that majority of people have, and staying on top of it is a great way to make your money go further. This may sound obvious, but it’s important to note. Whether it’s splurging on an expensive meal or going on a shopping spree, keeping an eye on spending habits is a must. Sometimes it can be frustrating or difficult to cut those costs down, but it will make the difference in managing money and is well worth the time and effort that it may take. Teens and kids are hard to reign in terms of their spending habits, but it’s a good idea to do what is possible to get it all under control so that the money going out is much lower than what is coming in wherever possible. It’s important to keep living, of course, but look for deals or discounts wherever possible. This is a step that is often skipped, especially by young people. Retirement comes up quicker than most people know, so making sure that there is a retirement plan in place is critical for focusing on the idea that even when the family is struggling financially, that fund is there and is growing as it’s supposed to, so in old age, no one is going to have to deal with financial suffering. Not only will it be a weight off of the mind, but it’s important to focus on the future and remember that there is a responsibility to be putting money away for that time. An emergency savings fund is a great idea when you are looking to make sure that there’s a little extra put away for a car repair or a trip back home in case of a family emergency. The amount can vary, and it’s there for emergencies, which is a good idea even if it’s only a small amount to begin with. This can often be reassuring for those who are looking to make sure that there is always space and options available during a rough time, and an emergency fund with some interest collecting each month is an important step to consider. Make the whole family a part of this money management scheme, too, by adding in goals and incentives so that each member genuinely feels like part of the process. It can be fun and reassuring and it’s also a great and realistic option for a family activity, too, where each member can bring up ideas and voice opinions. 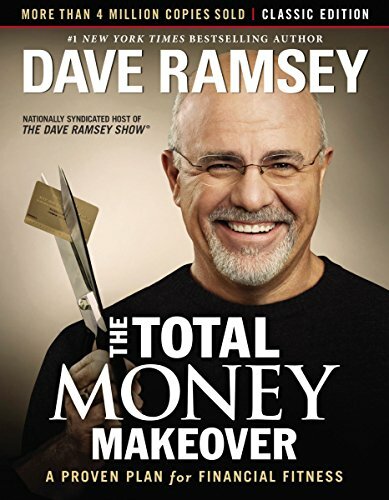 Money management is simply about educating every member of the family on small ways to make a difference, and these tips are going to help each household on their way to getting the best results possible. While professional counselling is also a good idea for more delicate or extreme situations, these simple money management tips will certainly help guide each person in the right direction to take charge. A clean home is a priority with many people for all of the right reasons, though it often is difficult to get the home looking the exact way that each person prefers. Or is it? All it takes is access to the right information to help each home look the best it can possibly be. So, take a look at these diverse tips for keeping a house clean and see which ones can best apply to a family’s routine and schedule so that a clean house is as easy. A clean house can be created properly when the right steps are taken. Even with the best of intentions, all rooms get cluttered and dirty. So, for helping keep sane while getting through a rough part in terms of having time to clean (family emergencies, temporary hectic schedules, etc) it’s a good idea to focus on having one room that is always clean. For many, it’s the bathroom. But, maybe it’s the kitchen or the bedroom or the laundry room. Just pick one room and focus on that being a clutter-free and clean room. When the mess feels like it is piling up elsewhere, take some time in this clean room, remember that it’s not the entire house, and that can provide the energy to get back out there. When it comes to kids, or to other family members, put a “two messes” rule in place. For example, kids can have two messy toys going at the same time, but when they want to add in a third mess, one of the first two messes must be cleaned up. It gives them time and focus to figure out which mess they want the least. If there are older children or adults, the same rule applies. Video games and homework messes are okay, but one must be cleaned up before another activity can start. This rule can apply to each person in the house, and soon everyone will be picking up after themselves without even thinking about it. Sometimes there is just simply too much stuff. So, take the time regularly to declutter. Maybe it’s clothes, toys, paperwork, recycling, etc. Every month, or every two months, decluttering is a great activity that can make a difference to your home’s capacity and comfort. It won’t be garbage bags of stuff each time, as decluttering will be done so regularly that it may only be a small bag or basket of things. This is a good thing, not a bad thing. Get each person to do some decluttering or their own possessions. There’s nothing worse than getting up in the morning and seeing a pile of messes such as dishes or laundry. So, get ahead of the curve by doing it before going to bed each night. Not every single scrap of mess needs to be done, but the majority of the bigger messes should be started before going to bed. It’ll make the morning chores much easier and it means that the tasks before going to bed will make each person feel successful, too. There’s no questions that kids are huge mess-makers, so make them part of the solution, too. Even if it’s just picking up their toys or helping fold laundry, kids can be great little minions for when messes need to be cleaned up. Get them to clean their rooms regularly, keep their toys in a set place, and keep their homework in one specific spot, too. 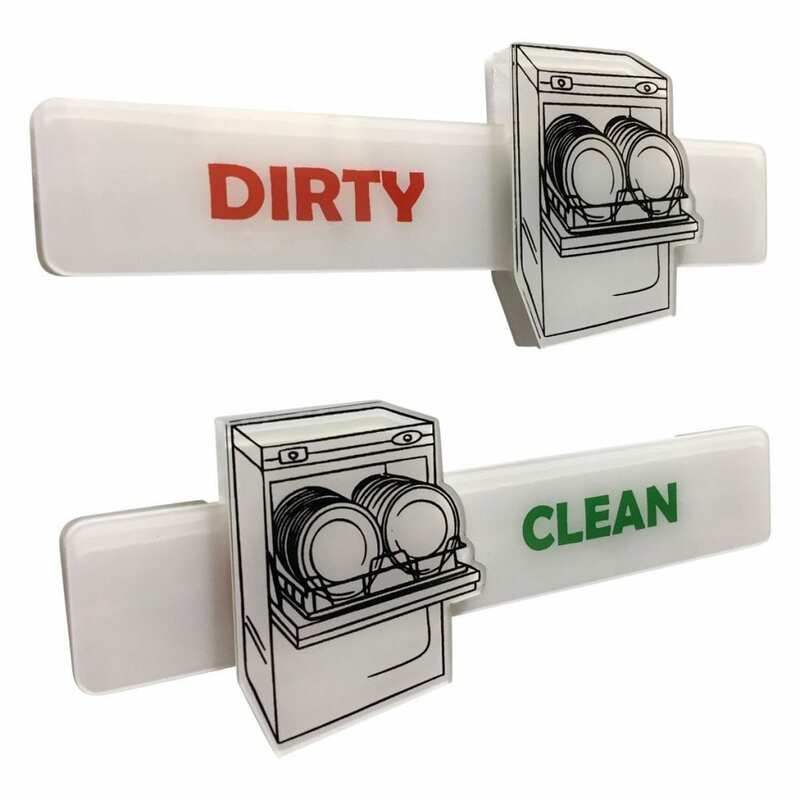 This will cut down on the mess and then when the time comes to clean, they can help with dish-drying or other tasks that cut the time down in a big way. The specific chores they are assigned can vary depending on their age, of course, but make sure those kids work to keep the house clean! Most people leave all of the cleaning to one day, or to the weekend and it makes the tasks much worse and crazier. The trick is to do a little bit of cleaning every single day. Don’t let the dishes build up, and don’t allow the laundry to become Mount Everest. Make sure that floors can be seen with clear view. Just 15 minutes each day can make a huge difference in the cleaning routine and schedule. Whether it’s a revolving chore day, or simply dabbling a little bit here and there, find a way that works in terms of keeping on top of the mess. Pets, like kids, are big creators of messes. So, put the time and effort into grooming the pet regularly and looking at something like cleaning their feet off after walks in the mud. This will help cut down on the tufts of dog fur and the dirt and grim all over the house from the animal wandering around. Nail trimming is also a great idea as it will keep the home from getting damaged, especially the floors and the furniture (especially with cats). Slipcovers are often thought-of as “granny-ish”, but they can make a difference on your couch or bed or armchair. Slipcovers can be patterned, plain, or even transparent, and they’ll be as simple as throwing in the washing machine to get the fur, dirt, hair and more out of them. They can also help keep those key pieces of furniture fresh and looking their best over time, no matter how often they are used by family members (both furry and human). Helping a home stay clean is as simple as putting these tips to use and focusing on how each of them are going to be aiding in everyday options to make this often overwhelming task all that much easier. Each one can be adapted for every household out there. Creating an ideal world can be a task that seems impossible when trying to do it in a big way, but all it takes to do it properly is a focus on making each life itself “ideal”. One of the best ways to do just that is to focus on minimalism and how it can bring order, comfort and clarity to each person who uses it. There are different ways to add minimalism in a big or small way to a lifestyle, but focusing on it in a broad sense is the best way to see what is realistic for a lifestyle and what isn’t. Take a look a these simple, quick helpful tips on becoming a minimalist and see which ones are the most realistic and approachable. From clothing to tablecloths to linens to rugs, it’s important to get rid of anything with holes. If it’s a quality piece that is loved and appreciated, and the hole or ruined part is fixable, take it to someone immediately—no, not when you have time … now!—and get it fixed. This is going to be critical for making sure that each part of the home has quality pieces and that these inferior options will be thrown out, as they should be. From clothes to appliances to cosmetics, if it isn’t used in a yearly cycle, make sure that it gets donated or thrown out. After all, what isn’t used in a year isn’t important enough to take up space in a home. This can be tricky to do, as parting with “important” possessions is always difficult, but focus on the fact that anything that gets donated can be enjoyed by someone who will treasure it every single day, so it’s truly for the best. Triaging a closet is one of the hardest things about minimalist living. The key to doing this as painlessly as possible is to focus on those favourite pieces in each closet. Use these staple pieces that are so loved and get rid of anything that doesn’t make the same feeling pop up when it is held or worn. This may need to be done in stages (especially those who have all four seasons) to really get the closet slimmed down. For all things that your purchase with the new minimalist lifestyle in mind, remember that quality is key. From a new pair of boots to a microwave, quality should be the determining factor when shopping. Sales are great, but only if it’s for something that is to be trusted in terms of its overall quality and purpose in the household. Resist the temptation to shop just for the sake of doing it! This is money-saving in the long run. One of the biggest things to clutter modern homes is paperwork. Whether it’s bills or newspapers or junk mail, it needs to be sorted through and filed according to its role. Recycling or garbage can be thrown out, and those important papers that need to be kept, should be filed away neatly out of sight. It’s a common fact that most kids have too many toys, and organizing through them once or twice a year really isn’t enough. The home should be emptied of toys that aren’t played every week. A kid’s attention span changes, and those important toys can be kept, but those ones that never get used can make their ways to donation boxes where other children will be able to enjoy them. Once a month, this cleaning and parsing process can really be useful and is time-saving. One thing that often gets overlooked in minimalist living is the idea of decor such as paintings and rugs and extra furniture. These pieces of decor aren’t really serving a purpose and can be donated to those who can really use it in their homes. Focus especially on paintings, bookshelves and knick-knacks. Most of them don’t have sentimental value and can be donated to someone who wants them. This will also help display those pieces that do, in fact, have sentimental value. A great aid in minimalist living is to make organizing and sorting a family affair. This means time with loved ones, and a team effort to help make the workload lighter and easier for all involved. It will also help determine which items have true sentimental value and which ones just have perceived sentimental value. Sharing minimalist living can also help each family member really appreciate all that they do have, and it means that it will become easier to organize their own belongings down the line when moving or decluttering for whatever reason. When it comes to minimalist living, it needs to be upheld each and every day. This means regular rounds of purgings and organizing, but what tends to happen is that this gets easier and faster as time goes on, so no more weekends filled with sorting and cleaning, it’s just a few minutes here and there and the house stays clean, organized, and the family’s life will be equally uncluttered and enjoyable. Often minimalist living gets thrown in the same category as self-deprivation, and this really isn’t how it’s intended to be understood. Realistically speaking, minimalism is a comfortable and rewarding way to live, it’s about filling your home with items of value and taking away anything that doesn’t truly matter. Whether it’s useful to use minimalist everywhere in life, or just in certain parts, it’s worthwhile and rewarding as a lifestyle. All that’s left is to take these handy tips, apply them to life and see just how it all works out. Most people are surprised by how accommodating and satisfying it can be when done in the proper way. A kitchen is a place of warmth and comfort where everyone has a seat and a meal to put in their stomachs every evening. A lot of the time, however, that image is spoiled by the fact that modern kitchens have too much stuff. Clutter takes over every surface, and cupboards are jammed full of extra devices and food that really doesn’t need to be there. If this sounds familiar, than creating a minimalist kitchen may be a good idea to getting that family-based room to its rightful spot as best room in the house. Minimalist design focuses on clearing the clutter and excess “stuff” from a room so that it can be used for only the essentials. In terms of a minimalist kitchen, this applies to drawers, cupboards, appliances, counter space and even dining areas. This is an established concept that has been around for a long time and there are a lot of ideas and tips on how to create the elegant and modern kitchen to match the cleanliness theme in the rest of the home. Prioritize, triage, and maintain—From appliances to food in the pantry, the first thing to do in creating a streamlined kitchen is to prioritize. There are certain minimalist kitchen essentials that everyone has, including a cutting board, a good knife, forks, spoons, bowls, cups, mugs, etc. Your kitchen needs to be stocked with only the essentials for everyday eating and cooking. This means getting rid of the kitchen mixer (or storing it out of sight), the bread maker, and so on. Stick to the “must-have” pieces that are used every single week. Focus on triaging anything that isn’t used regularly and donate it to a place that could use it. This clutter-free space needs to be maintained and “weeded out” regularly to ensure it stays ready for minimalist entertaining. Consider open shelving—Another popular part of minimalist kitchen ideas is open shelving. This kind of shelving forces only the essentials to be on display in standard clear jars or canisters. They’ll add a uniform look to the room, and the open shelving (whether it’s traditional cupboards with the doors taken off, or shelving constructed from scratch). If going with traditional cupboards, consider adding frosted glass or clear glass, which also creates the minimalist appeal but still gives a closed door to keep the front uniform. Adjust as time goes on—From appliances to the food that’s kept close, needs may change as time moves on. So, make sure that the kitchen is ready to transform and develop as the minimalist design takes over. There might be early formations where it looks great, but doesn’t work in terms of where everything is located. This means that it needs to transform again into a newer form that will work and still look minimalist. It may take several of these adjustments for the kitchen design and practical aspects to blend together. There are a lot of kitchens that don’t use minimalist design and still look sleek and modern, so why is this something to consider when creating a kitchen makeover? There are quite a few reasons why minimalism is as popular as it is, and here are the highlights to focus on. Saves time—When timing is tight and the goal is to get everyone fed and in the car hurriedly, a well-organized kitchen with the essentials all where they should be is going to be a major helping hand. Meal preparation, clean up, cooking space will all be available and ready to keep moving smoothly in a timely manner. Saves money—Knowing that the kitchen is reserved for essentials only means that common unnecessary appliances and additional “nice-to-have” won’t be an issue when shopping. There will be no temptation to buy a bread maker or a deep fryer because your kitchen design won’t allow for it. Likewise, there will be no room to buy an extra cutlery set or dining set because there is no room in the minimalist design to bring in a double set. When grocery shopping, there will be only room for the fundamental provisions and there will be no more accidental buying something that was already in the kitchen cupboard. Clean lines and open shelving play their roles, here. The bottom line is that the money won’t be spent, and both the chequebook and the kitchen will be in good harmony. Makes life simpler—From storage, to clean up, to food prep, to entertaining, a minimalist kitchen makes everything in life simpler. There is no need to clean up frantically before guests arrive, because the kitchen already looks spotless and modern with the new theme. Grocery shopping will be effortless because the list will be short, cheap, and putting groceries away will be a breeze. The thing to remember with minimalism is that it can make even the most cluttered small space work efficiently and look larger than ever before. All it takes is clean lines, clutter-free counters and triaging to pull the look together. When admiring minimalist kitchens online through photos and video walk-throughs, it’s easy to see just why the simplistic design is catching on with homeowners everywhere. A tidy kitchen often translates into a tidy home, and for those who entertain regularly or have a million things to do and little time to do it, minimalist kitchen decor is going to mesh perfectly with the busy lifestyle. All that’s left is to get started. Creating a home with a place for everything and keeping everything in its place can take a lot of effort for everyone involved. That being said, when the proper tools are in place, there is a way for everything to become that much easier, especially in terms of organization. It’s all well and good to have a clean space, but if it isn’t organized, the job is only half done. To help all homeowners find their way to a cleaner and neater closet, take a look at these easy closet organization tips that are all tried, tested, and guaranteed to make the difference in the long run. Majority of people have a lot of extra things stuck in their closets that can create a huge mess that could have been easily avoided. Closets are great places to store things that aren’t needed, but the first rule in making sure that a closet stays an effective space is that it should be limited to only clothing. That means, books and other belongings need to be stored elsewhere such as a storage room or spare bedroom. The hardest part in setting up a system for organization is starting. This step includes the hard job of going through the entire closet and triaging the clothing that is in there. It all needs to be sorted and with this step, and the sorter is going to need to be ruthless in getting rid of anything that is not worn on a regular basis, or anything that doesn’t fit, or is out of style. It’s tempting to hold on to those particular items in the off chance they’ll work again in the future, but this is where the tough love part comes into play. This is best done with a friend or family member who can keep the task on track. Whether it’s a small closet, a tall closet, or a low closet, it’s rare to find one that is absolutely perfect for what’s needed. So, one of the ways to make the closet work is to sort it out and make it practical for each person’s needs. When dealign with knee or back problems, make sure the closet storage bins or racks are stored at comfortable reaching height. When dealing with shoulder or reach problems, prioritize the clothing that is used regularly and put it in the lower spots for easy access and retrieval. The closet is supposed to be personalized, and with all of the space options available, it can work for each person. It may take a few tries to get it done correctly. Organize by use—the most important pieces that are worn the most should be in the front and center of the closet. This makes the space more effective and there will be no more frantically searching for that favourite pair of jeans. Organize by purpose—If there are clothes in a closet meant specifically for work, relaxation and dressy occasions, organize the closet using this same system. Work clothes should be in the front, than casual clothing, than dressy clothing in the back. This is a great option to make sure that everything is in the right section. If some items crossover, just organize it by the most popular category. Organize by colour—This one tends to be the least common organization system, but it can be effective when looking to make a good impression on those who want to check out the system that is in place. Hanging racks may just not be the right organization options, so take a look at store options such as bookshelves, dressers, wardrobes, baskets and bins. There are a lot of ideas out there for organizing things. Even if it takes a few rotations to get everything working properly, the right system is out there. Unless there is a massive closet, lack of space is always going to be an issue. Consider hidden storage options such as rolling bins that tuck under the bed, storage ottomans, or other seating options that can help take the stress off the closets and allow them to work for each person. Use any and every option that is out there, it’ll make itself useful before too long. Once the system is in place properly, a yearly update and refresher is important. Triaging clothing, reorganizing the existing systems and changing them as needed will help make sure that closets are always kept looking their best year-round. It can be energizing to see closet stay clean and organized, too, so this step is critical to keeping things “just so” and is going to help the system step up to date and functional for the house, leading to the idea of adding organization to more places in the home as a result. Having an easy closet organization system in place is important not only to the comfort of the person who is using it, but it will help the entire home look and feel better. 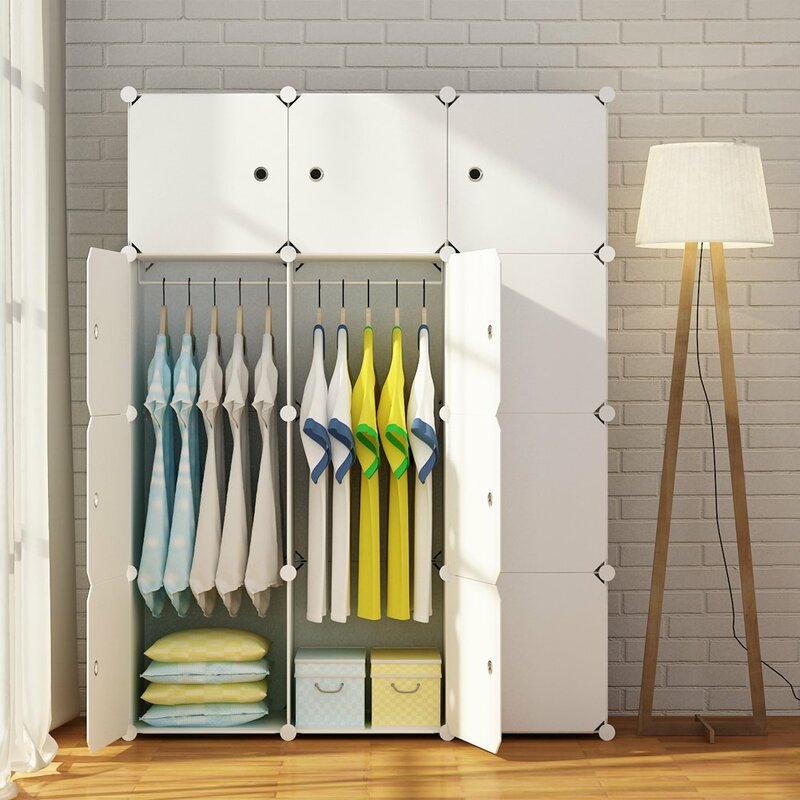 There’s a reason why cluttered rooms and spaces cause so much chaos, so putting a stop to it with the proper closet organization system can be the saving grace that is needed to help the home look and feel its best at all times possible. Create the perfect closet with these easy organization tips to lead the way. Creating a space that is all things practical and free of fluff that only clouds the space can be easily achieved by pulling together these minimalist lifestyle tips. Not only will the home be free from clutter and excess, but each person’s lifestyle will be calm and organized too so that every part of life can be enjoyed to the fullest. 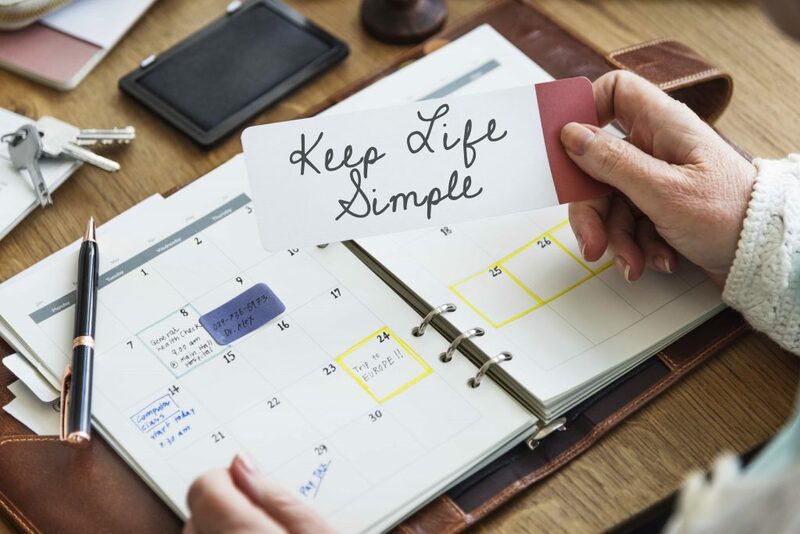 To help each person on their path to time-saving and space-saving options that are easily brought into a lifestyle, take a look at these wonderful tips to help get the simple lifestyle that is waiting for anyone to enjoy. Majority of people have too much “stuff” in their homes and it is a common problem to be shuffling around amongst its piles. So, purge through the clothing, the furniture, the boxes up in the attic and make this a regular thing so that the home is clear of clutter and excess. This can be tricky, but it is important to the start of a wonderful and fulfilling minimalist lifestyle. The essentials in life are always needed, of course, but creating a minimalist lifestyle can be made easier by relying on minimizing these essentials. For example, instead of having 20 sets of sheets, it’s possible to get away with 2 or 3 sets instead. Follow this minimalist tip with all of the crucial belongings in the home and it will majorly cut down on the clutter. Get someone to help if it feels as though each piece is critical. Sometimes it takes an outsider to help get this task done. It’s tempting to go into sales and come out with a series of pieces that were on sale. It’s normal, and part of why sales are so popular amongst different vendors. The thing to remember is that if something is not needed in a home, then those sales should be avoided. When something needs to be replaced, sales are a great way to save money, but otherwise it’s just a purchase that isn’t needed. Avoiding these sales, as hard as it may be, will save money in the long run as well as time and stress from finding a new home for these pieces. There is a lot of wasted time cleaning up messes that come from clutter, so taking the time to clean and tidy up everyday can save a lot of effort down the road. Something as simple as doing the dishes and cleaning up a workspace when the time is over can really help keep on top of things. It’s easier than most people think to keep on top of cleaning and tidying. All it takes is a few minutes here and there throughout the day (or even once in the evening), and both the home and lifestyle will be much more simplified. It’s a common misbelief that minimalist living is filled with cold neutrals such as white or grey. Realistically speaking, it can be whatever it wants it to be. Get lime green curtains or neon pink wallpaper. The point is to make the space personal but make sure that the clutter stays to a minimum. If neutrals aren’t appealing, then go with bright crazy colors that make the home feel more centered on the color aspects. Keep the goal in mind when it comes to purging and clearing out things. Minimalist living doesn’t mean getting rid of sentimental objects that matter to each person. It’s about clearing out a space so that there is more room for these sentimental things. The point is to get rid of anything that doesn’t hold value or importance in a home or a lifestyle. It may take several tries to get all of the clutter cleaned out, and there’s nothing wrong with that. The point is to get it work for each person who tries it. Believe it or not, minimalism is something that may come in stages. Maybe the triaging takes a few tries to get right. Maybe certain decluttering is easier to do than others. The point is to keep trying and not to give up on this important way of living, as it will be well worth it in the end. Whether it takes you 2 months or 2 years to do properly, its benefits will make itself clear throughout the journey and help keep everyone on track. While minimalism has certain guidelines and characteristics, there is no wrong or right away to do it. It’s as personal as each person who uses this kind of lifestyle. Minimalist living is more than decluttering a home. It also applies to simplifying other parts of a life including eating habits, acquaintances, work life, exercise routines and more. There are a lot of forms that minimalist can take so that it’s possible to enjoy the simplified way of life. For example, instead of buying new healthy cookbooks, it’s possible to look options up online. There are endless resources out there to save money and give lots of healthy food options and combinations to choose from. The same is possible with workout options. There are so many positive aspects to minimalist living that it’s no wonder it is as popular as it is now. The trick to making it work for each person is to make it a personal experience so that each person can get something positive from it. Whether it only takes hold in one plain of life, or it is able to take over multiple aspects and offer comfort for everyone who uses it, minimalist living has a lot of benefits, and can be easily brought into each lifestyle. The tips above will help anyone interested to get started on creating the proper tools for the minimalist living for all of the right reasons.